Missives from the Art World: The Whitney? Met Breuer? Frick Whitney Met Breuer? The Whitney? Met Breuer? Frick Whitney Met Breuer? I love it when museums cooperate with each other. It never makes much sense to me when museums in the same town compete with each other in the same areas. New York is lucky enough not just to have a number of great museums but also some private collections that are now open to the public. Sometimes these collections are given to museums on condition that they be presented apart from the rest of the museum’s holdings, like the Lehman Wing at the Metropolitan Museum. 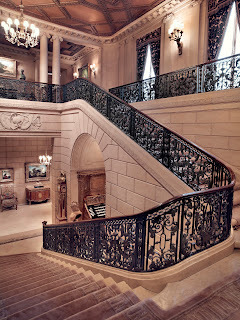 Henry Clay Frick and J.P. Morgan, however, left mansions with their collections. But even mansions run out of space eventually and so it was with the Morgan that expanded onto Madison Avenue and now the Frick Collection. 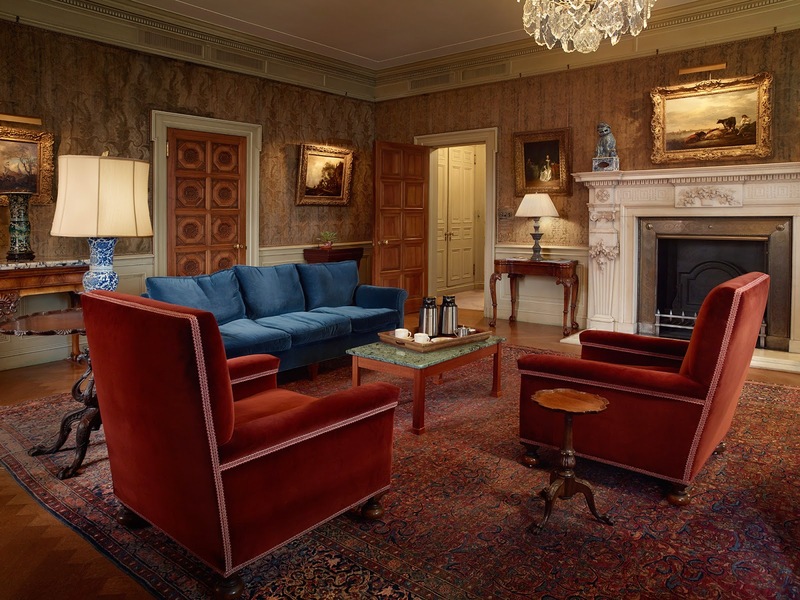 Actually, the Frick has wanted to expand under several directors. A 1977 the neighboring mansion was purchased and torn down to create a garden and reception area, and in 2011 the portico was glazed to create an additional gallery. The current aim is more ambitious and it took a while to come up with a feasible plan that was acceptable to the Frick administration, curators, the Frick’s public, neighborhood and the planning commission of New York City. One thing that should make all Frick fans very happy is the opening of the rooms upstairs where the Frick family used to live and have since been occupied by administration offices. The grand staircase behind the organ has always been cordoned off and visitors strained to see what was above but alas that was not possible. What was once Miss Frick’s Boudoir and has been the Director’s Office and will be used to display small scale works from the collection . There will, of course, be a new gallery space created for special exhibitions. To every upside, however, there is a downside and the most common one for expansions is that the museum must shut down and remove their collections while construction goes on. 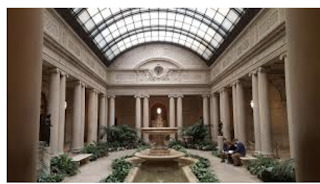 Of course, some museums like the Hispanic Society in New York currently, set up large travelling shows of their masterpieces so that they can get not only publicity around the globe but also some pocket change in the form of fees that they may charge. The Frick is constrained by the conditions of Henry Clay Frick’s legacy that nothing from his collection can be lent out. 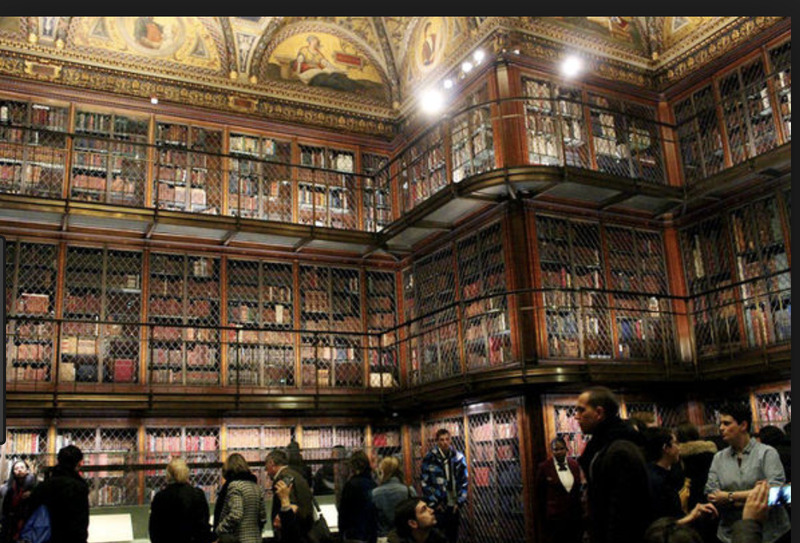 It was recently announced that the Frick Collection, the Whitney Museum and the Metropolitan Museum are all cooperating in giving the Frick space to show their great collections while they are closed. Maybe, you have already guessed that the solution lay in the one museum space in New York that is in flux,--the 1966 building designed by Marcel Breuer (1902-1981) for the Whitney that was always described as Brutalist architecture. The Whitney tried for many years with their neighbors and the city to expand their lot but they failed, and abandoned the Breuer for a much larger space down town on the west side, designed by a contemporary super star and popular museum architect, Renzo Piano (1937 -). 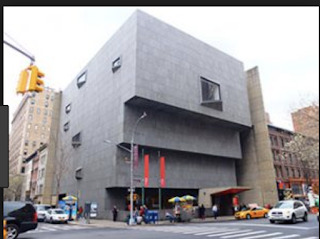 The Breuer is currently leased to the Metropolitan Museum for contemporary art programming but Max Hollein, the new Director of the Met, believes the museum’s modern and contemporary collections should be included within the main building. In Frankfurt, Germany where Hollein directed three museums at the same time (The Städel, a museum for paintings, sculpture and photographs showing a continuum of the last 700 years, the Liebieghaus, a museum of sculpture from Antiquity to Neoclassicism as well as The Schirn Kunsthalle devoted to a variety of special exhibitions) Hollein insisted that the contemporary collection stay within the Städel and it was seamlessly done. In this case the interests of three museums and their directors have coincided. 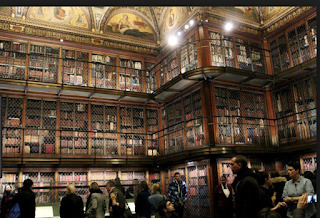 The Met rids itself of the burden and the expense of another building. The Whitney continues to have a tenant and the Frick prevents the public from losing access to the fabulous works of art in its collection. When I had a gallery I learned that installation and ambiance were everything. If I put a great three-dimensional work of art in a large room people often did not notice it but, put in a small fabric lined room with proper lighting and it would fly out the door. Of course, this is true for a restaurant as well which depends on ambience, almost, on an equal plain with their food. Just think what happens when you take a collection out of a mansion and put it in a modern building suddenly the old ambiance is gone and replaced by a modern box. The works of art will either be lost or speak clearly without assistance from their setting. 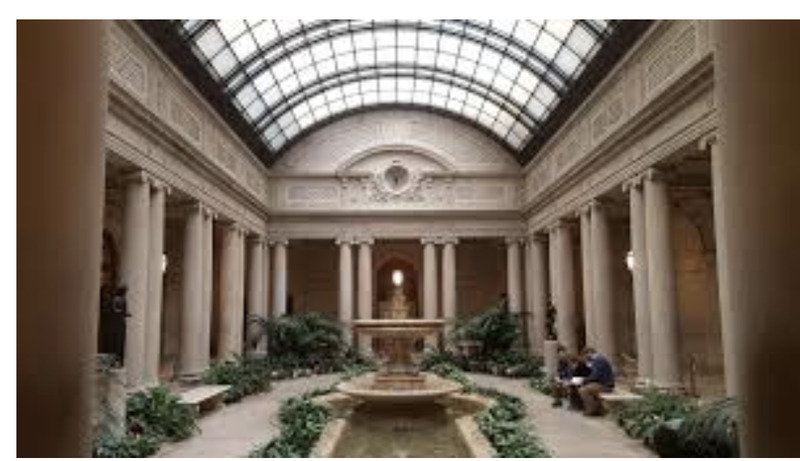 I believe that when you have a great collection like the Frick’s individual works will stand the test I am sure long-time visitors to the Frick will suddenly make “discoveries” within the collection that they never noticed before. Of course, it will be a relief when they come home again to the refurbished mansion. How often do you find a solution that makes everybody happy?